Root Canals or endodontics are underneath your tooth’s outer enamel and within the dentin is an area of soft tissue called the pulp, which carries the tooth’s nerves, veins, arteries and lymph vessels. Root canals are very small, thin divisions that branch off from the top pulp chamber down to the tip of the root. Root canal Facts – Root canal therapy is the area of dentistry dealing with the prevention, diagnosis, and treatment of disorders of the dental pulp. Treatment is done when decay will likely damage or has already killed a tooth. 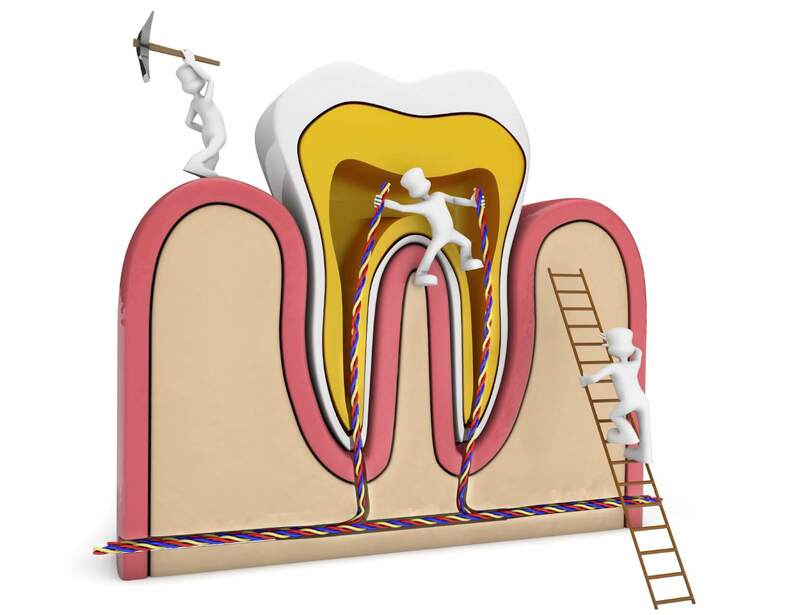 During a root canal, a dentist or removes the pulp from the center of a tooth and fills the pulp cavity. This procedure can relieve toothache, stop infection, and promote healing. Root canal therapy should be completed as soon as possible to try and avoid a severe infection. Any kind of infection can damage the bone surrounding the root of the tooth and infect other teeth. Following completion the tooth will need to be restored. Due to the large amount of tooth structure usually lost from decay and old fillings the preferred restoration is a crown. A post may be placed into the root to give additional structure support. After a root canal, your lips and gums may remain numb for a few hours until the anesthetic wears off. Later you may have throbbing pain, which you can treat with pain medicines, such as ibuprofen or a stronger prescription painkiller. The pain usually lasts only a day or two.